Four teams on bye this week: Atlanta Falcons, Denver Broncos, New York Jets and San Diego Chargers. Look extra for fantasy value in those teams next week. Four teams coming back from bye this week: Detroit Lions, Indianapolis Colts, Buffalo Bills and Oakland Raiders. Players have had extra time to rest and heal. Coaches have had extra time to game plan. All of them play at home, except Bills, which is extra good in this situation. Away against Dallas Cowboys that will chew up the game clock with their awesome running game. I believe Oakland Raiders will try to run the ball too. Derek Carr is priced 7th at both FanDuel and DraftKings, and there are much better options this week. Be careful. This is the week you could really go wrong with QB’s. He was my strongest go-against last week, and he only produced 8,2 points. The 2016 first overall pick QB Jared Goff looked awful during preseason, and he couldn’t even beat the other mugs on the team. Now the season is lost and he gets the chance to prove what everybody already suspects – that the Rams will have a very high draft pick 2017 and that they will pick a QB again. Miami Dolphins stout D-line will go all-in against RB Todd Gurley. Expect less than ten points again for him. QB Matthew Stafford is spreading the wealth around, and has all his targets healthy. I don’t like Detroit Lions fantasy prospect against Jacksonville Jaguars that will bleed the clock in the first half as their only chance to hang. Detroit Lions will bleed the clock in the second half against Backdoor-Blake Bortles. Marvin Jones looked like a superstar in the making in the beginning of the season. His average was 19,4 points the first five games. After that the average has been 7,6 points per game. Can you see the trend? How about 6,3 points the second to last game and 1,5 points last game? Stay away! 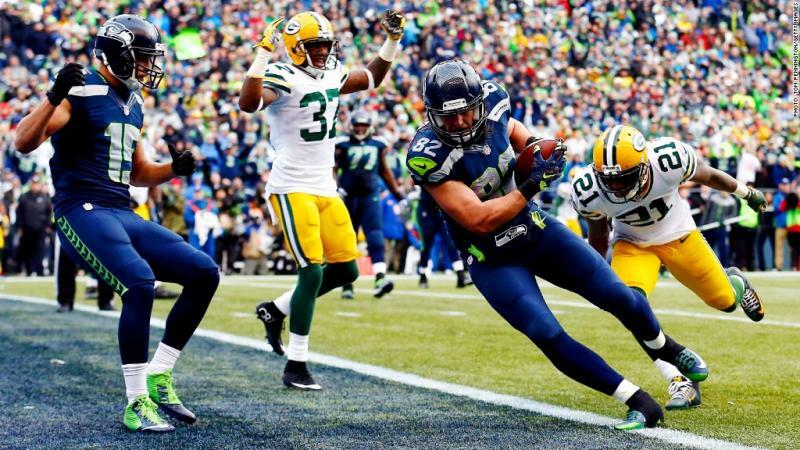 Seattle Seahawks have a very good defense that’s extra good against tight ends. Beer in mind that the TE-position is very dependent on a team’s game plan, and that the TD’s is kind of fluky. It’s never wrong to go cheap at this position. You need to gamble somewhere and it’s often correct to do it a Tight End. Two of the better kickers in the same game that will be very popular choices this week. But they are the two most expensive Kickers this week. I recommend that you put neither in your lineup and roots for few field goals in the match. Dallas Cowboys runs the ball and controls the clock. They have – by far – the best O-line in the NFL, which means few interceptions and even fewer sacks. You want Luck in a match at home against Tennessee Titans that has the highest total on the board. Titans have given up 344 passing yards the last five games with multiple passing TD’s. Luck had 355 passing yards and 3 passing TD’s in week 7 against Titans. Ranked 4th at FanDuel with a $1,200 discount compared to Tom Brady. The same at DraftKings with a $600 rebate. I liked him last week and he produced 27,8 points against Green Bay Packers as 15th and 16th ranked at FanDuel and DraftKings. David Johnson is the best running back in NFL, at least in PPR fantasy. I liked him last week, and I like him again. This week he’s a bit of a bargain with a surprising price drop of $1,100 from last week. Minnesota Vikings has looked absolutely awful the last weeks, but in many peoples mind they are still playing elite defense. David Johnson is matchup proof and is a great contrarian play this week. Three touch downs last week against Seattle Seahawks. Do you think San Francisco 49ers will stop him? They will not. They have one of the worst run defenses in the league and probably are gunning for the first draft pick in 2017. I warned for Blount last week. New England Patriots are already preparing for play offs. The will save their passing targets to avoid injuries and let Blount run all day long. Moncrief is absolutely forgotten this week. He is returning to form after his injury and had 14 points against Kansas City Chiefs and 14,5 points against Green Bay Packers in his last two games. Provides a lot of upside as ranked 21st for $6,500 at FanDuel and ranked 17th for $6,100 at DraftKings. A lot of your opponents will go for the combo Andrew Luck–T.Y. Hilton. Nothing wrong with that, but the combo with Moncrief is just plain better – both value wise and as a contrarian play. Matthews in the same game is perhaps even more forgotten. A combo with QB Marcus Mariota could be even better than the Colts combo. FaDDuel has him ranked for 29th for $6,000 and DraftKings has him also ranked 29th for $5,100. He is averaging 14,4 points over the last six games, 17,8 over the last three. That’s all you can ask for in a DFS player. I know I recommended you to go cheap at Tight End. But this matchup against Indianapolis Colts is very juicy. If you can get 19 points, as his average the last four games, he’s worth his price tag. And you are off to a very good start. The Monday Night Football game is played in the Azteca Stadium in Mexico City. Having a kicker left for that game could be a fun proposition. Janikowski has a sledgehammer of a leg. When he has form, like this season, he is one of the best kickers in the league. Houston Texans has a good defense. A few stops and the field goals could really pile up. The Azteca Stadium is located at an altitude over 2000 feet higher than Denver Broncos Mile High Stadium that’s famous for it’s thin air and favorable kicking conditions. The wind is expected to be a non-factor and there is talk about a 65-yard field goal from Señor Janikowski. If you bet on sports you should look at over in attempts, field goals and longest completion in yards. Same game, same reasoning and same price tag. The contrarian play that you will be very alone about. Jared Goff, L.A. Rams in his first start against Dolphins D in form. Like all other rookies he will be stunned by the speed of the NFL. It will result in either sacks or interceptions. Either way it’s fantasy points in your pocket.